July 12, 1999, LG Crabo & J Troubridge. 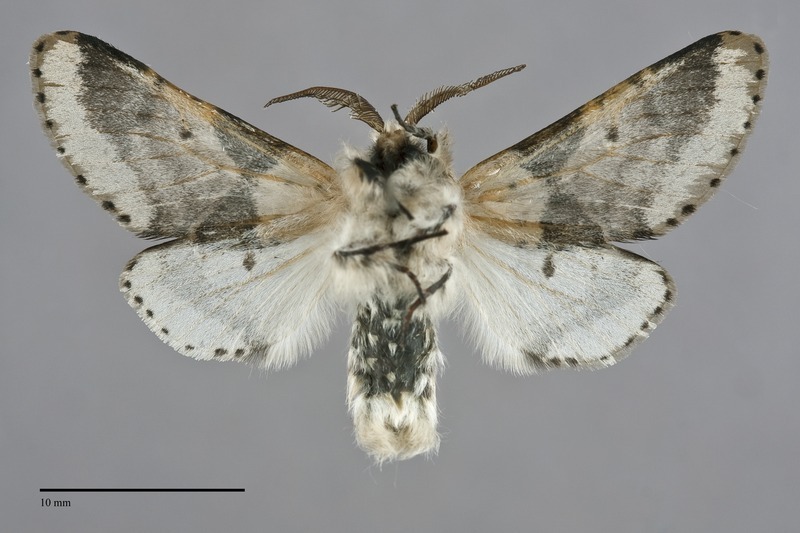 Furcula modesta is a rarely-collected eastern species that barely enters British Columbia. 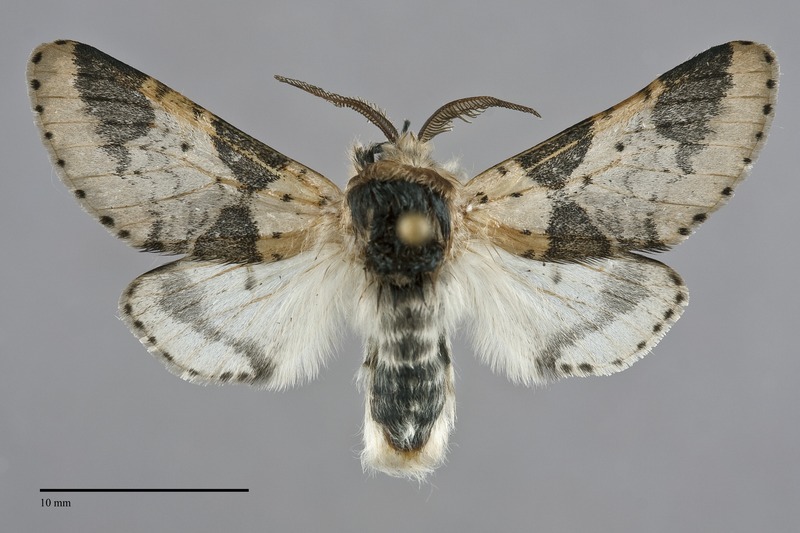 It is a medium-sized moth (FW length 16–19 mm) with light ochre forewings marked with charcoal gray bands and spots. Like other Furcula species the forewing is elongate and appears to curve forward due to a convex posterior margin. The ground color is slightly translucent creamy yellow, marked with even charcoal gray in an hourglass-shaped field across the wing between the antemedial and median lines and in a triangular patch in the subterminal area near the apex. The double postmedial line is gray and strongly scalloped with a convex segment opposite the cell, while the basal and terminal lines consist of series of black dots. The hindwing is white with dark gray discal spot, submarginal shade, and terminal dots on the veins. The head and collar are yellow and the posterior thorax is charcoal gray. The male antennae are bipectinate and those of the female are simple. This species can be identified by its eastern British Columbia distribution, yellow forewing, and "narrow-waisted" band across the inner third of the wing. It differs from other Furcula species in being strongly yellow rather than white or pale gray. It is the only species in the genus in which the median dark band is constricted into an hourglass-shape, and the band lacks yellow, white, or metallic scales. This is an eastern and northern species that occurs in boreal forests across Canada. Furcula modesta is only found in northern and eastern British Columbia in the Pacific Northwest. It has been found in extreme southeastern province as well as in the Peace River region. This is a predominantly eastern species, occurring in boreal forest from the Atlantic Coast to Alberta and British Columbia. In the East it occurs as far south as Connecticut, Pennsylvania, and Ohio. Forbes (1948) lists willow and poplar (Salicaceae) as the larval foodplants. Adults are single brooded and fly from late May to July. They are nocturnal and come to lights. They do not feed as adults.